Foxit PDF Editor enables users to edit and comment on PDF files easily. However, if you want to try on the free Foxit PDF Editor, you have to fill in a form in which you need to provide your personal info: email address, name, company name, and phone number. To be honest, I do not like to let any company to gather my personal info for business purpose. If you do not like it either, then you’d better look for a Foxit PDF Editor alternative. What's more, Foxit PDF Editor does not have Mac version. So if you are looking for Foxit PDF editor for Mac alternative, just keep move on. To edit and convert PDF files, I'd prefer PDFelement. For me, PDFelement is one of the best Foxit PDF Editor alternatives which provide full features to take control of PDF files while costing less. And it's available for both Windows and Mac platforms. Below is about how to edit, convert, and create PDF files with PDFelement. First download this program to have a try without entering any of your personal information. You are going to enjoy it. The main interface of PDFelement is much simpler than that of Foxit PDF Editor. Wondershare PDFelement adopts Microsoft Word interface ribbon style. Every tool is well arranged in each menu. And there is no hidden sub-menu. In the Home window, click the "Edit" tab, and then you can move your mouse to edit PDF text and images. Click the annotation tools unser the "Comment" tab, you'll comment on PDF file: adding sticky note, text box, highlighter, underline and marking up PDF with all kinds of shapes. When entering the "Pages" window, it enables you to delete, extract, crop, and rotate PDF pages while also merging or splitting PDF files. 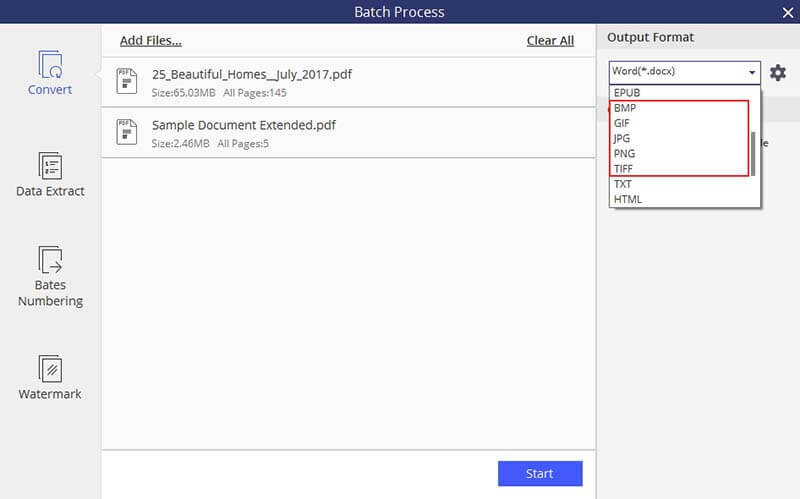 PDFelement provides more choices for output formats while comparing with Foxit PDF Editor. Go to the "Home" tab, you're allowed to convert PDF files to Microsoft Word, Excel, PowerPoint, Images, RTF, HTML, Text and EPUB formats. 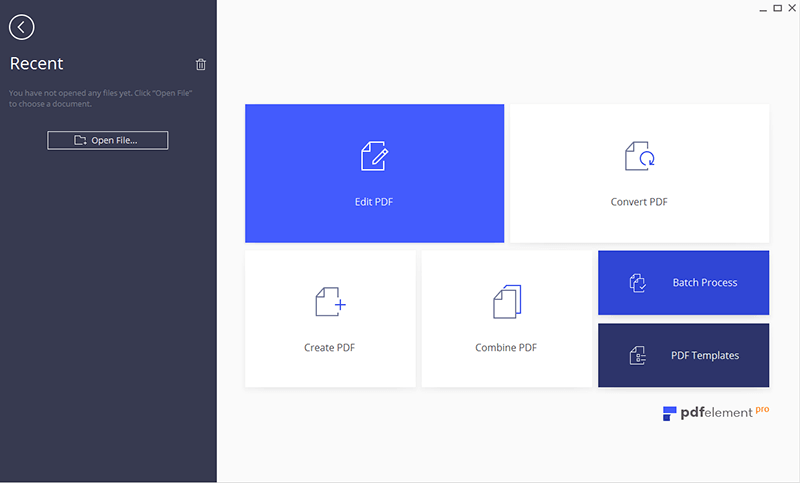 Similar to Foxit PDF Editor, PDFelement empowers you to create PDF files freely. Any file which can be opened on your computer will be saved as PDF file with PDFelement. Click "Create PDF" button on the Home window. Alternatively, you can go to the "Home" tab. 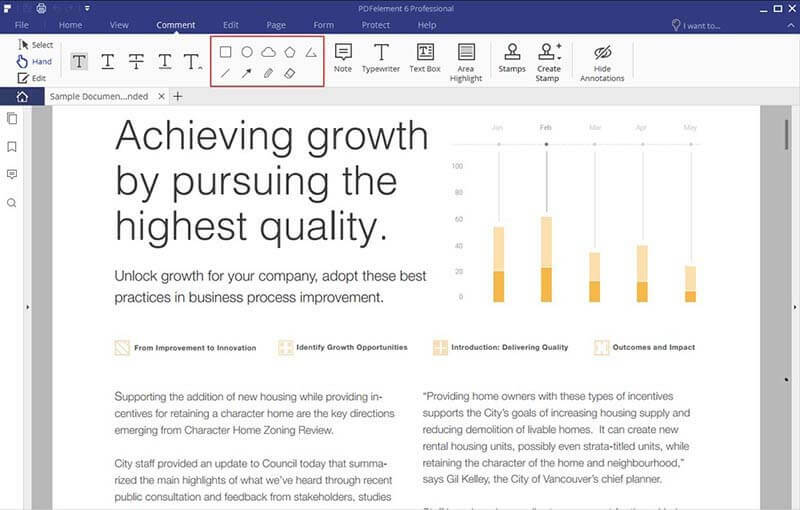 Click the "From File" icon to enable the Create PDF dialogue box. Click the "Save" button to save your document as PDF. As the best Foxit PDF Editor alternative, PDFelement will not let users down. Besides the above mentioned features, it has an OCR Plugin which enable users to digitize scanned PDF files freely. Here is a guide that you can refer to make the most of PDFelement.